For teachers, librarians, and parents who want to develop children's awareness of environmental matters while building and refining their language arts skills. Over 100 books of all genres are organized for children ages 5-8 and 9-14 under six headings: language, listening, folk literature, reading, speaking, and writing. Roberts (education, California State U.-Sacramento) gives a summary of each book, then suggests activities based upon the readings. Annotation c. by Book News, Inc., Portland, Or. 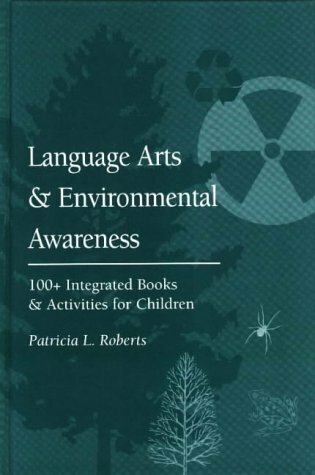 This multi-purpose book is for teachers, librarians, and parents who want to develop children's awareness of environmental matters while building and refining their language arts skills. In response to the challenge for school districts integrate environmental education into the curriculum, this book presents environmental awareness topics to appeal to children's curiosity, interest, and sense of action. Simultaneously, it offers language arts activities that adhere to the NCTE and IRA standards of 1996. Over 100 books are annotated here, organised for children aged 5 to 8 and 9 to 14, under six headings: language, listening, folk literature, reading, speaking, and writing. They cover all genres from poetry to non-fiction, with subjects ranging from pollution and global warming to activism, endangered animals, and the beliefs of North American Indians, to name a few. Activities based upon the reading are given for in-class and library, as well as home, use. An appendix of children's periodicals, and an author/illustrator/title index and a subject index round out the book.